Yesterday, news of avocado hitting Starbucks blew up the internet. Today, we're here with our review. By Bailey King·	 3/22/2017, 12:45 p.m. Here in Be Well Philly Land, avocado is life (see our Instagram for proof). 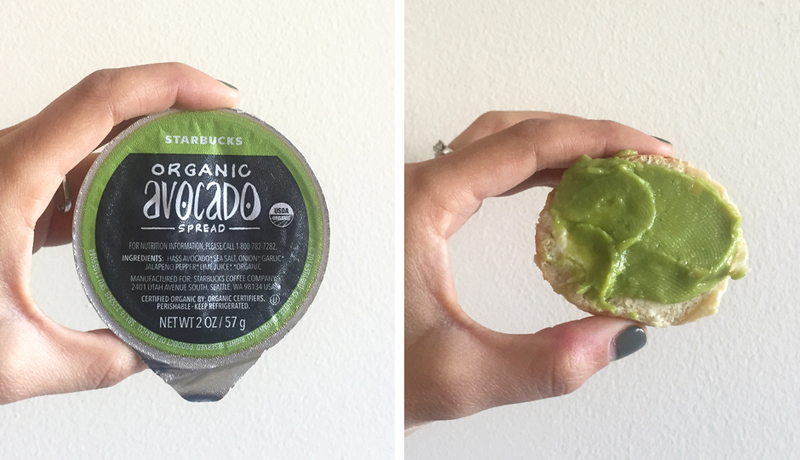 So, when we caught wind of an organic avocado spread landing at Starbucks, we knew we had to try it … for the sake of our readers, of course. Now, we have tasted the lime-y, jalapeño-y organic avocado spread that you can buy from Starbucks and put on anything you damn well please. Below, our thorough analysis. This morning, I ran across the street to one of the approximately 8,930 Starbucks locations surrounding the Philly Mag offices and found the cute little packages of avocado spread in the cold case that holds some of their other pre-packaged items. I was pretty psyched to see a full stock. Not seeing any plain pieces of toast in their bakery case, I decided to go for an avocado-and-bagel pairing. Caught up in the cuteness of them, I sprung for Starbucks’ mini bagels balls, which we later cut into and discovered were filled with cream cheese. Whoops. Since I’m vegan, I just went at the spread with a fork. Nothing out of the ordinary there. So let’s get down to it: How does it taste? Pretty freakin‘ good, if you ask me — like guacamole. A little spicy, a little lime-y and a little season-y. It’s balanced in flavor, very smooth in texture, and boasts a very natural-looking avocado-green color, unlike this totally unflattering photo suggested. Admittedly, my expectations were low, as pre-packaged avocado products can often taste more like plastic, preservatives and lime juice than actual avocado. Be Well editor Adjua and I were both expecting it to taste like the Avocado’s Number Guacamole To Go from Trader Joe’s, which, though conveniently packaged, is not their most delicious item (we still love you TJ’s!). As I mentioned before, this avocado spread is certified USDA Organic and made with just a few standard and simple ingredients: Hass avocado, sea salt, onion, garlic, jalapeño and lime juice. 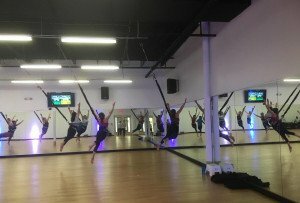 As for the nutritional information, it’s a mystery — really, it’s not on the website and when we called the number you’re directed to for nutritional info, they didn’t have the details. But, knowing the ingredients, I think we can surmise that it’s not terrible for you. The avocado spread is served in a two-ounce plastic container with a peel-back tin foil-ish lid. Two ounces doesn’t sound like a lot, but it’s actually a pretty good serving. Depending on the restaurant, that’s more than you’d get in the ramekin they give you a side of guac in. I think this avocado schmear would be a great addition to any sandwich, a wonderful dip for your wrap or a great way to jazz up your packed bag of veggies and chips (or eat with a fork in a pinch, I’m not here to judge.). And for all you avocado toast lovers, you could easily DIY your own avocado toast by grabbing one of these avo cups and a bagel. With the Starbucks organic avocado spread ringing in at just $1, it would certainly be way cheaper than getting a piece of avocado toast at your favorite brunch spot (lookin’ at you Bluestone Lane). So, let’s run through the checklist, shall we?